Amazing the things you learn on twitter. Because it’s true. When people tell me that my book made them cry, I cannot help but feel pleased, however peculiar (or downright sadistic) that sounds. Writing fiction is about making connections, bringing the reader into your world and taking them on a journey. If I have moved readers enough to make them cry, then that means they’ve invested emotionally in the characters I’ve created and the story I’m telling. In other words, I’ve made that connection I’m striving for. Success! Just for the record, when I read books I cry all the time. I remember sitting on a plane reading the end of Brady Udall’s The Lonely Polygamist, with my daughter sitting next to me. The conclusion of Udall’s story is so powerful and so unbearably sad that I began weeping uncontrollably – great big, chest-heaving sobs – and the poor girl just patted my arm, looking rather worried. Of course, there are times when this tendency to blub galls me hugely, especially in movies. Empirically, I appear most susceptible if they feature small animals or Sandra Bullock. No matter how much haughty disdain I muster, they always get me in the end, and I find myself sniveling in embarrassment, wishing I were made of sterner stuff. But – for me anyway – there’s no shame to be moved by a book. So forgive me if I look pleased if I hear that I’ve made somebody cry. I’m not a mean person. I am, in the end, just doing my job. One of the books I brought back from the ALA gig in Dallas a few weeks ago was The Fault in Our Stars by John Green. 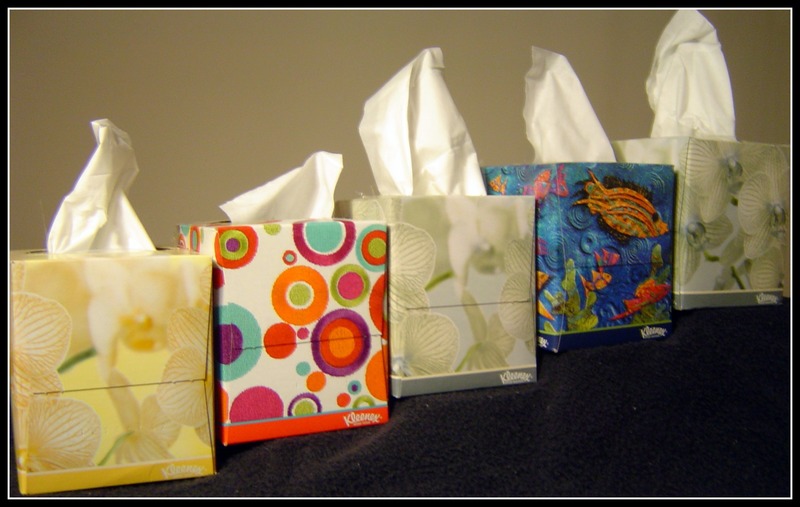 I’ve been told not to begin without a full box of kleenex by my side. I can’t wait. You made me cry several times in A GOOD AMERICAN, and I cried at the end of Tatiana de Rosnay’s, THE HOUSE I LOVED. I do NOT cry at books all the time. It is very special, indeed when I’m stirred to tears. I love that you were sobbing over the ending, sitting next to your daughter. You taught her so many important things in that moment that you didn’t even mean to teach her. Congratulations on all of your success with AGA. You deserve it. Thank you, Erika. You’re very kind. I must get THE HOUSE I LOVED. I lived in Paris for a year, and am a sucker for stories set there. Have you read the Brady Udall? It’s an unusual but fabulous book. And the ending… oh boy. The last book I read that made me cry was LETTERS FROM HOME by Kristina McMorris. The WWII backdrop is a very powerful setting and it doesn’t take much for the tears to start flowing. I think it is great that some books affect you deeply. That means you are a complex and passionate, I believe. Books and movies…hell, even some commercials, can get me all teary eyed. It’s not as common to get all-out sobbing from me, but even that happens. I know there are things I shouldn’t read in public because nobody wants to see a guy built like a defensive tackle sitting in a corner alone during lunch break at work crying! The last book to get the tear ducts going? A GOOD AMERICAN. One part shocked me, and what followed got tears going. Quite a few other parts hit me, too. There were some parts where I probably could have cried, but was more struck by the moment in a different way. Other parts were just so well written or uplifting that I teared up that way, too. (And I had quite a grin by the end.) What I respected about A GOOD AMERICAN and the tears was how genuine it was. I never once felt like I was being manipulated, just to evoke an emotion–so that made all I felt real. A week after finishing the book, and I’m still thinking about it. THE FAULT IN OUR STARS got me. Not in the ways I thought it would. There are just moments that come out of nowhere that are so well done that got me tearing up. It wasn’t–for me anyway–a big cry-at-the-end book. The tears often came out of nowhere. I’m sure it’s no coincidence that I first really thought about writing in a different way in fifth grade, when our teacher read WHERE THE RED FERN GROWS to us. By the end, she was weeping, and we all kept bringing her Kleenex. That’s when it hit me how powerful writing can be. I’ve since bumped into old classmates who have fond memories of that book and our teacher, struggling to read the end of the book to us through tears. I’ll have to check out THE LONELY POLYGAMIST. I read THE MIRACLE LIFE OF EDGAR MINT when it came out and liked it. I don’t know why I haven’t sought out any of Udall’s other books; thank you for the reminder! Oh, I adored EDGAR MINT, too, Christopher. Such an original voice and so well done. I loved your story about bringing the teacher Kleenex! And thank you for your kind words about AGA, as well. You’re very generous. May I confess something? I cried during “Good Will Hunting”. Maybe it was my mood that day, or maybe it was that parts of the film were shot at MIT, my alma mater, and I was feeling nostalgic. But when Will cried in the psychology professor’s arms, I lost it. And I’m fairly sure I wasn’t the only one in the theater who had the same reaction. Books don’t make me cry as often as films do, but it happens. “An Exact Replica of a Figment of My Imagination” had me in tears. I can’t imagine a parent who *wouldn’t* be moved by that. Somerset Maugham’s “Mrs. Craddock” elicited the same reaction, because (spoiler alert) it, too, involves the loss of a child. And when Stevens the butler realizes the happiness he passed up in “The Remains of the Day”, I cry along with him. But there are happy tears, too. I can’t read the Market Snodsbury Grammar School section of “Right Ho, Jeeves” without collapsing into tears of laughter. The best of S.J. Perelman does that to me, too. Publishers of Wodehouse’s and Perelman’s works ought to include a pack of tissues with every volume. Well, there was that book “A Good American”–not a big boo-hoo, but definitely got the tears welling up. Definitely. Probably had to do with the whole immigrant experience thing, and my own family…. There have been so many others; when a book tugs at my heart and I find myself immersed in the characters, I laugh out loud, I shed tears, I gasp. It’s probably not a good idea for anyone to be in the room with me when I’m reading something like that–I’m rather overt about it all, but I can’t help it; I react. When I take a book on a trip, it’s usually something relatively mellow….like a good basic murder mystery I’ve read before. When I would read to our son at bedtime, I got so I couldn’t read Shel Silverstein’s “The Giving Tree” without melting into a blubbering pool of Jello….and then I had to explain to him why I was crying so hard. And yes, I also cry at commercials and movies. Oh, and for heaven’s sake, don’t play certain songs around me unless you want me to disintegrate into said pool of Jello in front of you. There, now you know. Just finished A Good American. What can I say. I won’t forget this one. Loved it. I live in the East End LI community. Where did you hear about us? I’m German American and grandmother of twin boys. I pass through Eastport and Remsenberg on my way to care for the twins every day. The boys are napping now so I’m able to reflect on your beautiful story. Laughed and cried too. Thank you. Keep writing.